By Melissa Weiss - Features Editor · November 29th, 2018 at 3:48 p.m. While in school, it can feel daunting to grapple with things like budgets, credit cards, loan repayment, and saving for the future. How do you build credit? What’s the difference between a line of credit and overdraft protection? 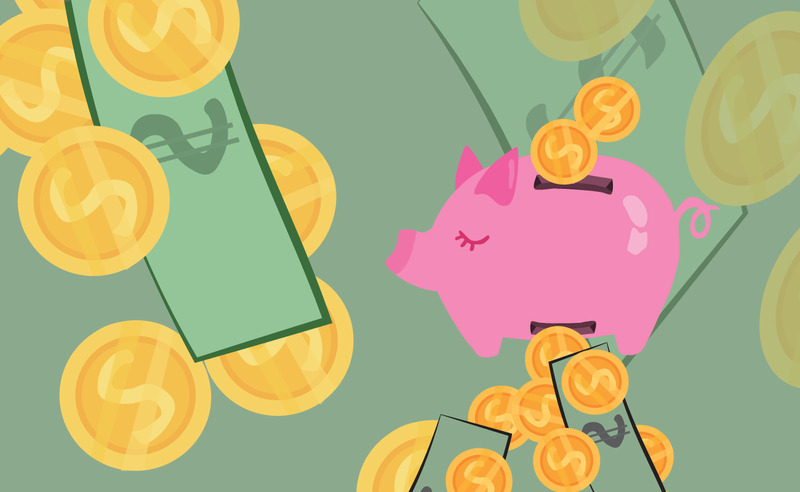 What’s the easiest way to pay back loans? Many students can feel overwhelmed with financial decisions, especially if they’ve been given little education on the matter. According to RBC, “your credit score is a number that reflects your ability to borrow money and pay it back responsibly. The higher your score, the better.” Your credit score is important, because it determines your ability to qualify for things like mortgages, credit cards, lines of credit, and car loans. 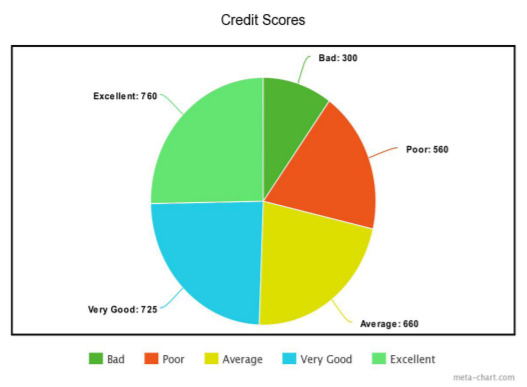 If you have a good credit score, you may be approved for bigger loans or lower interest rates. When you spend money using credit, you are responsible for repaying the lender (bank, credit card company, etc.) within a certain period of time. If you don’t, you are charged a fee (interest) on the amount you still owe. It is a good idea to check your credit once per year, to be aware of any changes or errors. In Canada, there are two credit reporting agencies where you can request this information: TransUnion and Equifax. Many banks also allow you to check your credit score through their online banking app. Payment history: Do you pay all of your bills? Do you pay them all on time? Account history: How many years have you been building up your credit score with a loan or credit card? Variety of credit: Do you use multiple types of credit (credit card, line of credit, car loan)? How responsible are you when it comes to paying these back? Credit applications: How often do you apply for a credit card or other loan? Only spend money if you know you can pay it back soon. If possible, pay your bills back on time. 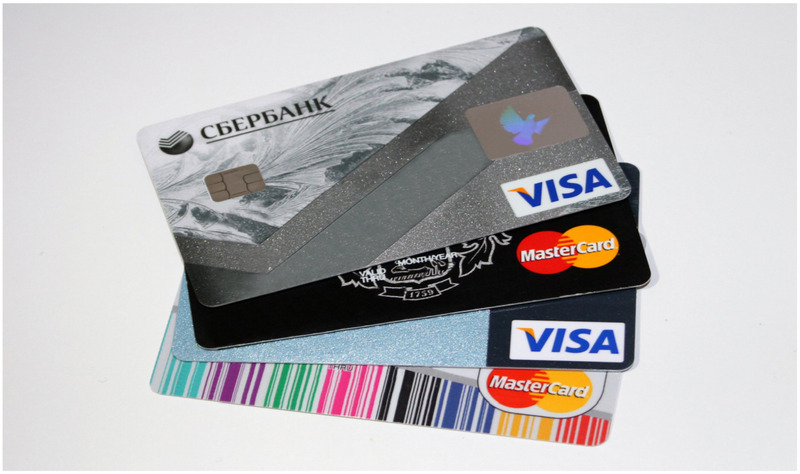 How do credit cards differ from debit cards? A debit card allows you to draw funds immediately from your chequing or savings account when you make a purchase. When you use a debit card, you are spending money that already belongs to you. Credit cards allow you to borrow money from the bank to use for everyday purchases. Once a month, you are sent a credit card statement, outlining the funds you are responsible for paying back. This statement will indicate a minimum payment owed, which must be paid by the due date in order to maintain good credit. Interest will be charged on any remaining balance that isn’t paid off. Credit cards are often helpful first steps for students when it comes it building good credit. Certain cards also have helpful rewards like cash back, incentive points, travel insurance, and savings on fuel or coffee. As long as you use your credit card responsibly, it can serve as a helpful tool in your financial life. How do you properly manage a credit card? Build a budget: Some banks automatically sort purchases into categories that can be found on your credit card statement. However, it can be helpful to also build your own categories, as well as set up spending limits for each category. Check your statement often: Sometimes spending can get out of control simply because you lose track of all the purchases. Pre-authorized debits (like a gym membership or phone bill) can easily be forgotten, so it’s important to log into your online banking periodically to keep an eye on them. Make regular payments: As mentioned before, in order to maintain good credit it’s necessarily to at least make minimum payments before their due date. To do this, set up calendar reminders to pay your bill, or contact your bank to schedule recurring payments. Budgets can seem daunting, but they are crucial when it comes to keeping spending under control. A budget helps you stay on top of your cash flow, so you’ll know exactly what you have, and can monitor your spending habits. How do you build a budget? A budget is all about balancing your assets (money coming in) with your liabilities (money going out). So first things first, list your expenses. These can be broken into two main categories: fixed costs and variable expenses. Fixed costs are roughly the same every month, and include things like tuition, rent, utilities, and phone bills. The cost of these are easy to determine since they don’t change much. Variable expenses differ from month to month, and include things groceries, eating out, clothing, toiletries, gifts, and entertainment. These things might be harder to calculate – use past bank statements to make an estimate. Next, calculate your monthly income and make sure it’s higher than your monthly expenses. Monthly income can include things like your paycheque, student loans, scholarships, and money from your parents. What if your income and expenses don’t balance? It may become necessary to adjust your spending habits. Track your spending throughout the month, and compare it to your actual budget. If your spending is higher than expected, try to find where it went wrong. Are you spending more on eating out than you had allotted? Do you consistently exceed the limit on your phone plan? Sometimes it takes a while to figure out a breathable budget, but small changes every month can lead to big results. If your spending is lower than expected – great! Put the extra cash in a savings account, and be rewarded with a little interest. As a student, the idea of saving might seem out of reach or irrelevant. However, small steps now can create important habits, which can lead to financial success both now and after graduation. How do you create a savings plan? First, what are you saving up for? A car? A summer road trip? A detailed goal is the first step in motivating yourself to put money aside for the future. How much is this thing going to cost? And how much can you afford to save each month? Even if it’s just $10, that adds up to $480 if you’re consistently saving over a four-year degree. Next, factor this cost into your fixed monthly budget. Finally, open a separate savings account where this cash can accumulate (and even earn a little interest). It can be helpful to set up a pre-authorized debit with your bank. This way, the cash is put directly into this account on a predetermined day of the month and you are guaranteed to always make your saving goal. What are some other ways to save money? Embrace student discounts-- Tons of places offer student discounts: gyms, movie theatres, hair salons. Make sure to take advantage of them. Resist impulse shopping-- Have you ever made a purchase and then regretted it a few days later? Mull it over a bit before shelling out the cash. Be thrift-savvy-- Not everything has to be expensive. Before buying books, check the local library. Try borrowing items from a friend. Shop at the thrift store. As a student, there is no reason you should be paying a monthly account fee for banking. Make sure your bank offers a free student account, and get enrolled. If they don’t, consider switching to a credit union; they typically offer free chequing accounts, even if you aren’t a student. ATMs are often a hotspot for hidden fees. To avoid these fees, make sure to only use ATMs with your bank’s logo. Feeling overwhelmed with credit card debt? Apply for a line of credit. Lines of credit typically have much lower interest rates, so you can use them to pay off your credit card all at once, and pay less interest in the long run. Be careful when overdrawing your bank account. If you don’t have enough money in your account when a cheque or pre-authorized debit tries to come out, banks will charge NSF (non-sufficient funds) fees, which can be upwards of $45. To protect yourself from these charges, try applying for overdraft protection. This is essentially a small loan attached to your account that you can use when necessary. Using it usually has a small fee, but it’s not much compared to an NSF charge. Educate yourself about fees associated with your savings accounts. Banks typically have limits on the number of monthly withdrawals you can make from savings accounts after which they start charging. To avoid unnecessary fees, make sure you’re using your accounts properly.